Board index ‹ Peugeot RCZ ‹ Peugeot RCZ Forum News, Announcements & Forum Help ‹ RCZ 2014 Calendar - place your order / interest now ! 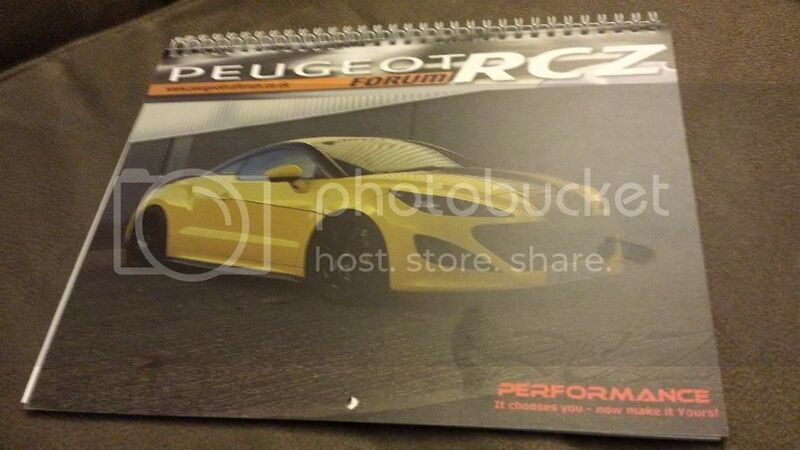 RCZ 2014 Calendar - place your order / interest now ! Re: RCZ 2014 Calendar - place your order / interest now ! Mine just arrived too. Love it and everyone's efforts look fantastic. Although...Jen's exact words were, "Oh whaaaaaaat...ANOTHER one?!" Yes Jen..another one. You've really fit to get her trained Mr Rizz . You REALLY think that, in all honesty, Jen isn't the boss?! It'd take archaic methods of conditioning to break that spirit!!! PS - she saw your new Ruby and exclaimed, "ooooooh...I like that one. That's my favourite"!! Poor Flipper is inconsolable on the driveway! Calendar received. It's awesome. Especially April well done to all. Great job. You're really missing out RON. It's awesome. In fact, I have gone back and looked at it several times today alone. I'll probably not even bother switching the tele on this evening...I'll just look at the calendar Crumbs...you're really missing out. You'll probably have to watch "Strictly Come X Factor Dancing" instead. Glad don't have to wait until Monday evening!!! Received mine today. Thanks to everyone who made this possible. Absolutely love it. Metallic grey , dark grey leather, 19" sortilege. Philips diamond vision H7, 380/60 led drls. RCZ GT HDI - Sold, farewell beloved RCZ. Picked our calendar up today. Looks fantastic. Mine's not yet here...does the Royal Mail have planes already or do they still swim across the English Channel? Hopefully won't be too much longer.